Hunting for quality IT Outsourcing in Warren County, NJ? Computer Systems and Methods delivers flexible and cost-effective Warren County, New Jersey IT Outsourcing Services to both large and small businesses. We improve your business productivity and increase office production by eliminating the responsibilities of Information Technology administration. We manage the time-consuming tasks of IT initiatives and Technology Management to help you consentrate on operating your company. Established in 1984, CSM has over 30 years of expertise assisting companies solve their most difficult IT problems. Organizations of all sizes in Warren County, New Jersey count on Computer Systems and Methods as their trusted Information Technology adviser. CSM has long been a technology icon, providing NJ IT Outsourcing to some of the state’s most recognizable brands. What kinds of Information Technology Help Will We Offer You? Tough competition, high taxes, and the country’s highest living costs help to make just waking up in the morning an effort. Reducing disruptions and focusing on your core competencies is the easiest way to succeed in the Garden State. When their earnings are on the line, Business Owners and Technology Executives turn to CSM as the best and most knowledgeable of all IT Outsourcing companies servicing Warren County, NJ. CSM’s sole focus is to help companies decrease their information Technology budget and to streamline their operations. CSM’s Technical Team is always available to help you with technology service, 24/7 help desk services, or Information Technology Projects. Our staff of IT experts will make sure the job is completed, on-time, and below budget. With over 30 years of IT Outsourcing experience, CSM does whatever it takes to deliver your business a competitive edge and keep your core programs and network operating at peak efficiency. If you’re seeking a firm to trust for your IT Outsourcing specifications, look no further – we have been helping New Jersey businesses since 1984. CSM is the obvious solution with regards to IT Outsourcing and network support. 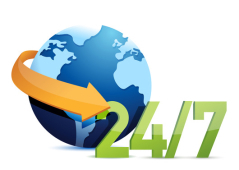 CSM’s flagship service, NetManage, provides efficient 24×7 IT Outsourcing at an reasonably priced, fixed monthly rate. If you are seeking to alleviate yourself of the problem of coping with your network, NetManage is the totally obvious option to help you sleep at night. If your Information Technology assets are over-worked, and your funding is tight, NetManage is the answer to your prayers. We’re always available to deliver IT Outsourcing in Warren County, NJ. Simply complete the contact form, and one of our IT Consultants will contact you promptly.